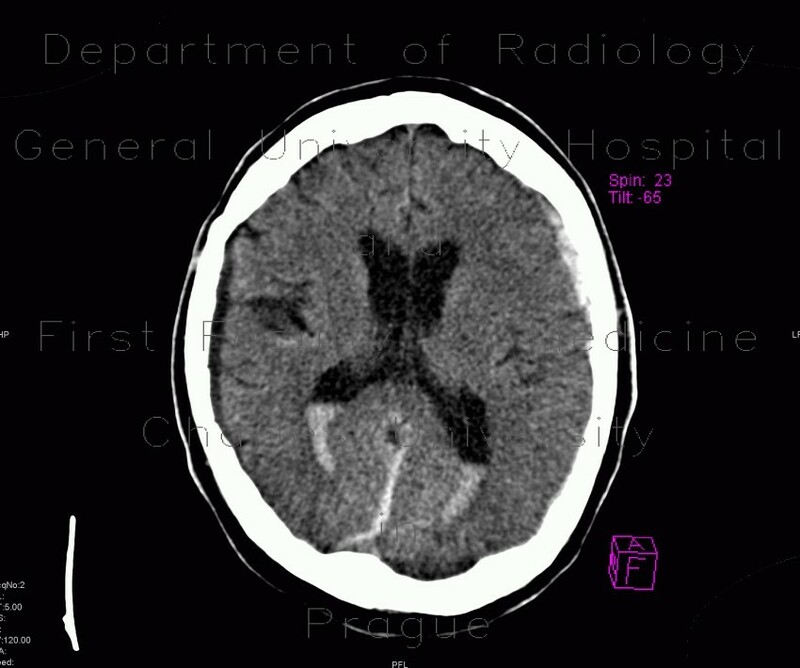 This posttraumatic series of CT reconstructions shows four types of cerebral hemorrhage in one patient. Hemocephalus can be seen as sedimenting hyperdense content of posterior horns of lateral ventricles. There is a thin layer of hyperdense subdural hematoma along the internal side of the skull on the left side. A contusion focus with perifocal edema is located in the right frontal lobe. Several hyperdense stripes outlining gyral sulci in the convexity of both hemispheres represent blood in subarachonid space.